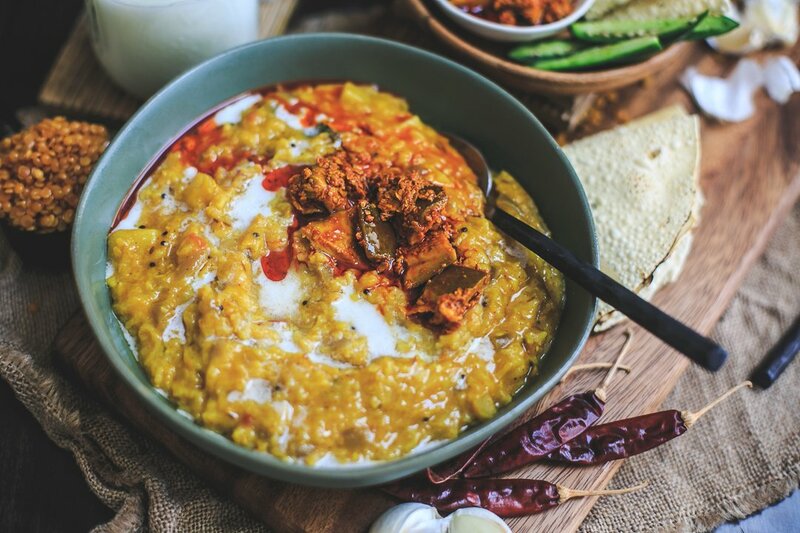 Masala Khichdi, known to us Gujuaratis as vaghareli khichdi, is the ultimate comfort food! It’s whats for dinner every Sunday night at my in- laws and the first thing we usually eat when we come back home after a long vacation! There are so many different variations on how this is made- even my mom’s and mother in law’s recipes vary greatly. 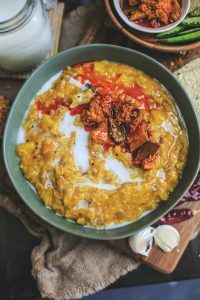 Growing up, I was never a fan of khichdi and only really started to enjoy it after marriage and after trying my mother in law’s version! Her’s is more like a melt in your mouth version- compared to my moms which has a lot more bite from the addition of vegetables like peas and she uses more rice in comparison to lentils. Already- you can see that there is no right or wrong way to make this. Some people like it soupier, more or less veggies, and even the spices can vary greatly. This version is definitely a soupier version- so if you like it less soupy I would suggest reducing the water by 1 cup. If you like lots of veggies- you can add just about anything in here- like peas, carrots, cabbage, cauliflower (one of those frozen vegetable bags would be perfect too!). It gets served with Chaas which also can be made a million different ways. We keep it simple and mix yogurt with water until it’s a smooth liquidy consistency, add some cumin powder and salt- and that is it! 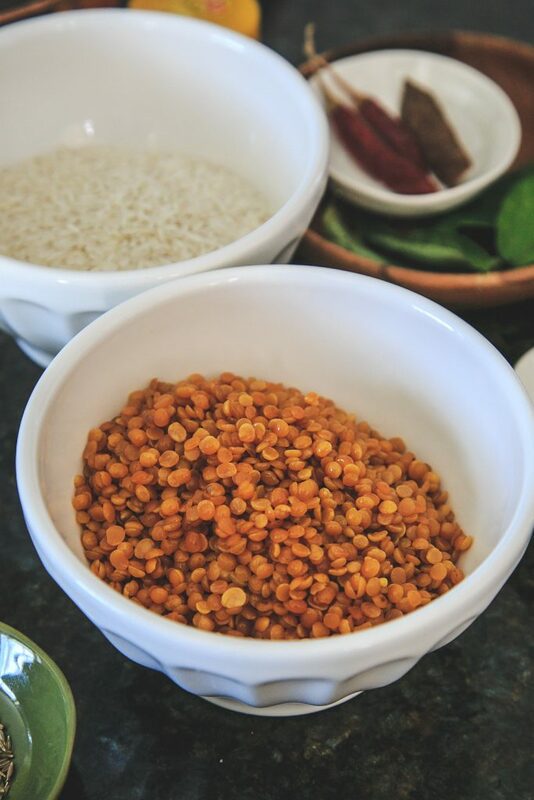 You can also add a tempering of curry leaves, cumin and red chilis to this mixture for some extra kick! Serve the khichdi with papad and some mango pickle! 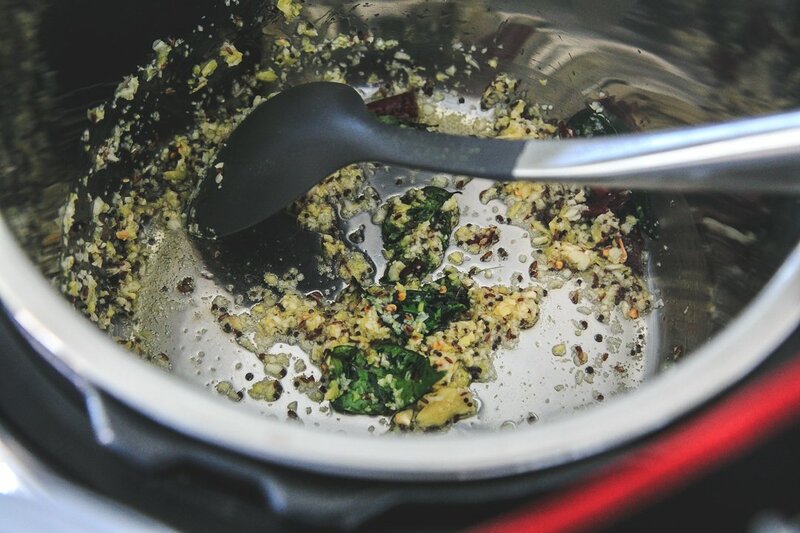 Turn the instant pot onto saute mode and heat oil. Once oil is hot, add the cumin, cinnamon, mustard seeds, bay leaf, dried red chilis, curry leaves, cloves & few dashes of asafoetida. Let these ingredients splutter but not brown. Add green chilis, onions, salt and continue to cook the onions until they are just softened. Once the onions have softened- add the ginger and garlic and let this cook until the raw smell of the ginger and garlic has dissipated (about 4-6 minutes). 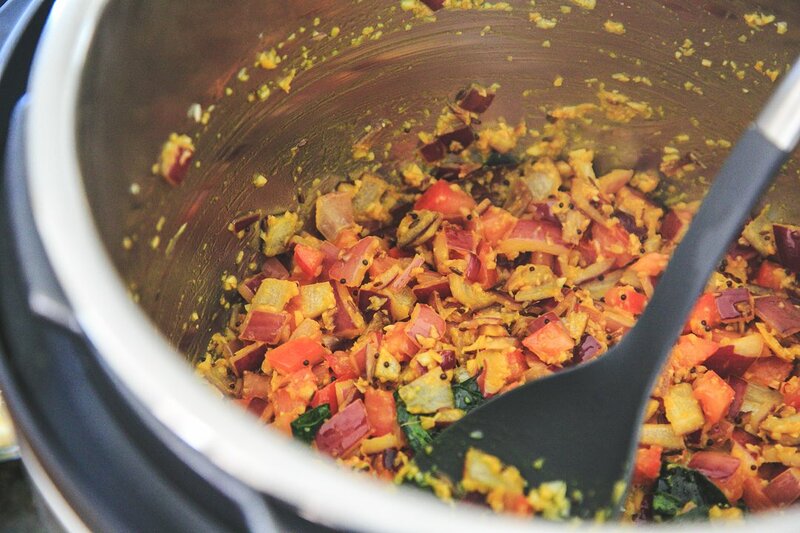 Add chopped tomatoes, potatoes, garam masala, turmeric, and chili powder. Continue to cook for 6-8 minutes, stirring constantly. Add the drained rice and toor dal to the pot. Stir well. Add 6 cups water to the pot. Mix well. With a spoon taste the water-and adjust salt/spice if needed. Hit cancel on the instant pot and switch to Pressure Cook mode and pressure cook high for 12 minutes. Let natural release for 5 minutes and then manual release. 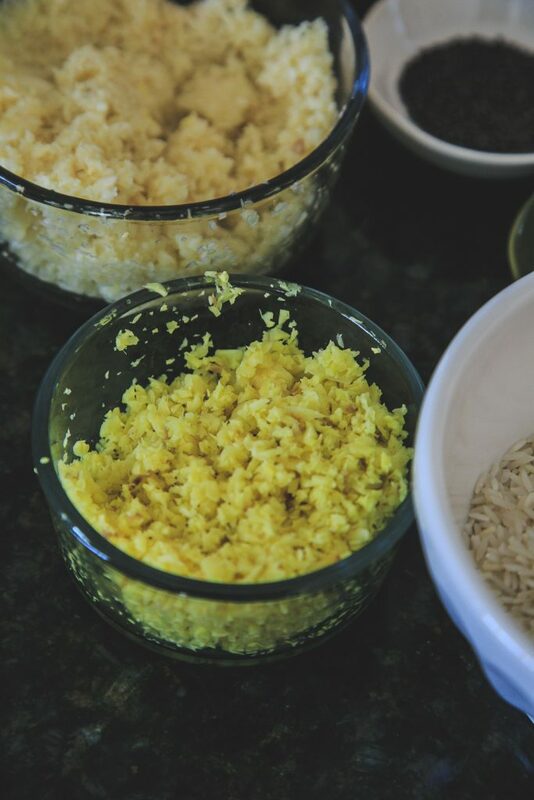 Stir the khichdi well. It will thicken slightly as it cools. 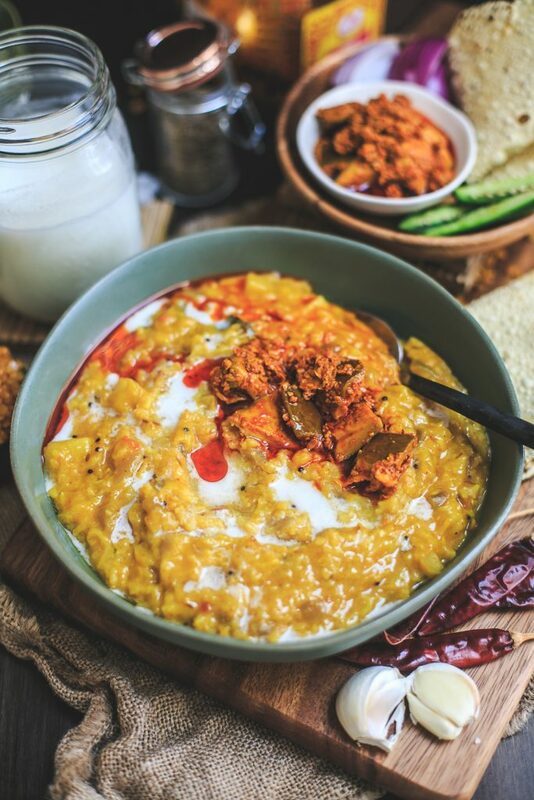 Serve with mango pickle, yogurt, and papad! please can you post a recipe of the salsa you have on your stories last week!